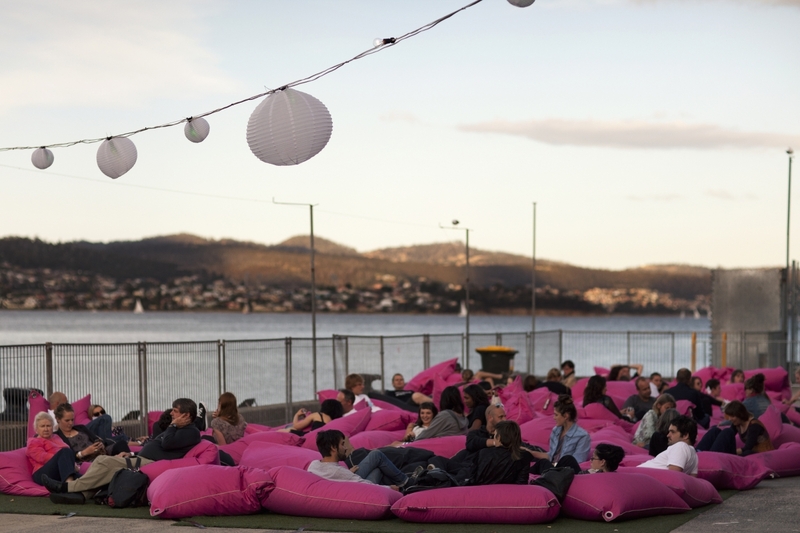 Culture vultures, it's time to pack your rucksacks and fly south – Hobart's MONA FOMA (Museum of Old and New Art's festival of music and art), is back for another year, bringing a beguiling mixed-bag of goodies to January 2015. Curated by Brian Ritchie, iconic bassist of Violent Femmes, the upcoming MOFO boasts a more eclectic and oddball program than ever before, with a grand slew of artists performing across the spheres of sound, new media, dance, theatre, visual art and performance. There's something for everyone, and a fair bit that nobody has even thought of before too. Attracting hip Hobartians and interlopers alike, a four-day MOFO ticket offers a superabundance of music and art, with a line up covering everything from New York post-punk to Japanese girl groups, Mexican DJs to guitar orchestras, inflatables and interactive art, houses of worship, a repurposed saw mill, 24-hour tea ceremony marathons and oh so much more. Running from January 15-18, the seventh MOFO will be heading back across the Port of Hobart to Princes Warf 1 (PW1 Festival Hub) and surrounding venues, with a range of satellite events rearing their heads all around town. Oh yeah, and Faux Mo. But more on that later, Listers. Already itching with a bad case of FOMO? Cure your curiosity with TUL's pick of the 5 things you just can't miss. And get ready to MOFO like there's no tomorrow. Pro tip: buy the four-day Festival Ticket for the best bang for buck. 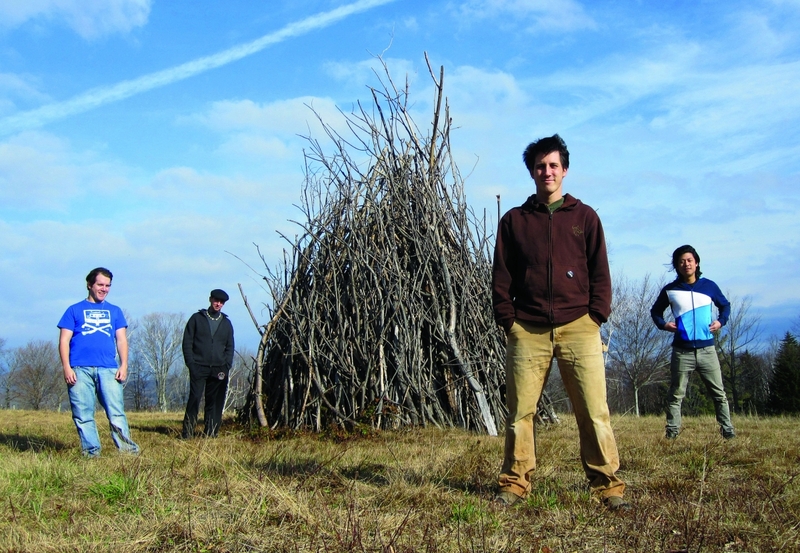 Formerly half of the avant-garde pop duo, the Books, Nick Zammuto is a consummate independent musician, hand-mixing and mastering records from his converted tractor garage recording studio in Readsboro, Vermont. Joined by his new indie pop outfit, he's bringing his home-spun tunes to Tassie, performing tracks off the latest album, Anchor. For MOFO, Zammuto will be joined on stage by special guest and somebody that we used to know, Gotye. A repeat MOFO offender, Amanda Palmer is a songstress / pianist / playwright / blogger / ukulele-player / rule-breaker who, since making her start as one half of the punk cabaret duo The Dresden Dolls, has enjoyed a slew of successes. Returning to MOFO, Ms Palmer is joining with pop polymath composer, Jherek Bischoff, to give her greatest hits a makeover with the Tasmanian Symphony orchestra. It'll be classic, it'll be cabaret, and it'll certainly be a little crazy. Paul Kelly's The Merri Soul Sessions will feature a swag of soul-inspired tunes and Kelly classics, performed by Clairy Browne, Vika and Linda Bull, Dan Sultan, Kira Puru and, of course, the ARIA Hall of Fame-inducted man himself. The album will released in early 2015 via PledgeMusic as a series of four 7-inch vinyl singles (double A-side), the full album will be released in early 2015, however we suggest you hear it live and personal at MOFO's festival hub first. Come Saturday, you'll find us sprawled across the MONA lawn, quaffing alcoholic concoctions and tucking into pop-up nosh at the first MoMa Market of the year. Tunes for the day will be supplied by MoMa's musical marvels and surprise MOFO artists too, while break dancers and booty shakers can get their groove on in the ultimate cultural dance off. As the adults nibble, swill and loll about, little terrors can run amok in MoMa Minor's Tent. Oh yeah, there'll also be a casino. A chicken casino, whatever that means (it is MONA, after all). Things get a little weird at MOFO after hours, and that's just how we like it. With surprise acts, producer-spun tracks and general debauchery on the cards, MOFO's weekend-long after party, Faux Mo, is set to be another doozy. Get down to the dark, tribal beats of Omahara, cultivate your own ironic insanity with Mad Professor's world famous dub, and indulge in a bit of glam-camp punk rock 'n' roll action with The Roobs. Presale tickets are back (huzzah!) and, if you buy them with a MOFO Festival Ticket before January 5, you'll score yourself a sweet little discount. Be fearful of missing out on this madcap party. Just can't wait to get a slice of the MOFO pie? Neither can we, Listers, neither can we. Join us in the depths of a New Year's Day hangover at The MOFO Sideshow. Acoustic punk rockers Violent Femmes will take the outdoor stage alongside folk singer Ben Slater and Melbourne alt-rock-folky favourites, Augie March, showcasing their brand spankin' new album. And those pink beanbags look mighty welcoming. TUL Note: Today's List Love post is proudly sponsored by MONA and endorsed by The Urban List. Our sponsored posts will never be a secret — the List Love seal will be stamped on any sponsored material you see on the site. Thank you for supporting the sponsors who make The Urban List possible.